I'm writing about the work that I've done so far. 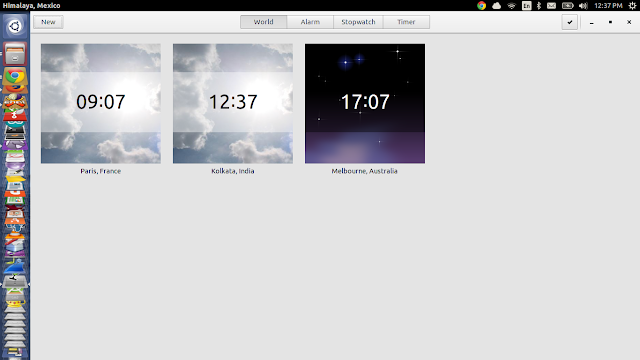 I worked on redesigning of "World" module of gnome-clocks. The current application shows the location in square tiles form. To delete any location user has to select the location and then click on the delete button. The below screenshots shows the current gnome-clocks "world" module design. The new that I've implemented has a horizontally scrollable view of locations and there is a close icon which deletes the location. Screenshot is given below. This implementation has still some bugs such as calculating the size of a tile on window resize and fitting the tiles perfectly in the window. Close button's event box is horizontally expanded so clicking at any place in close button row, deletes location. 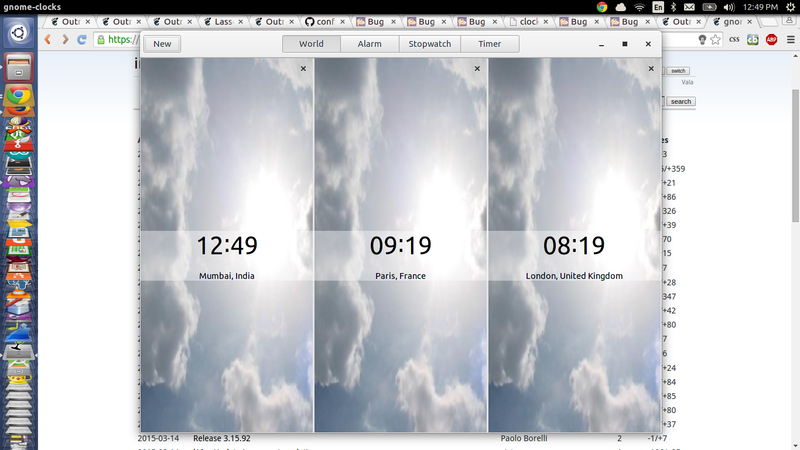 After this I was supposed to work on "New" button popover according to my proposed timeline but the implementation has some issues and other high priority work is there so I switched and started working on "Alarm" component of gnome-clocks. I'm currently working on it. The new design is really great but there are some features or design parts which are debatable for different options and different implementations and we're working on it. In case the prior comment didn't submit: that last view of 3 clocks in one main view is hideous. fold them into a slideshow view with dots to navigate and/or arrows. It takes way too much space up. Better yet, fold it into the new notifications center and slideshow inside that rectangle assigned to it.